Robert Stirling (1790-1878). 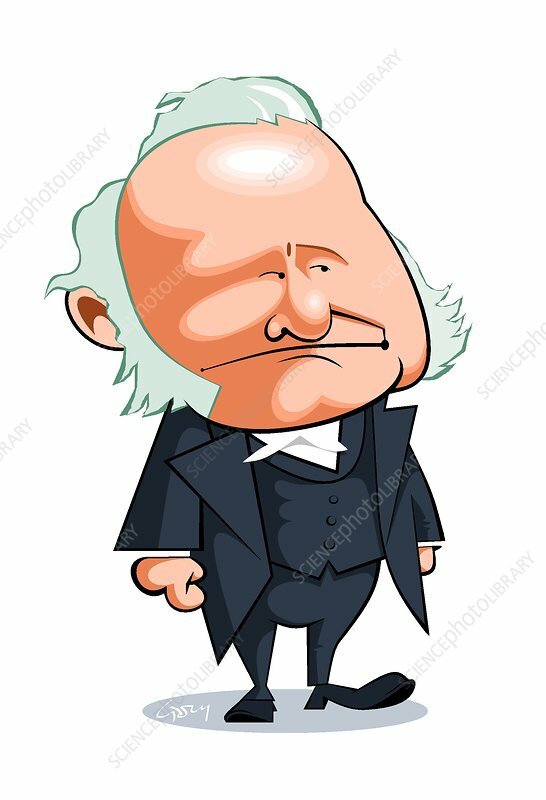 Caricature of the Scottish clergyman and inventor Reverend Dr Robert Stirling. Stirling is best known for inventing the Stirling engine, a heat engine that operates by cyclic compression and expansion of air or other gas (the working fluid) at different temperatures, in a way that produces a net conversion of heat energy to mechanical work.